The most recent study on zeolite and heavy metal chelation. 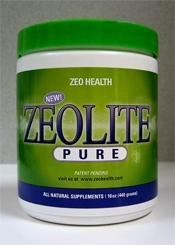 Click here to purchase a booklet on zeolite. These statements have not been evaluated by the Food and Drug Administration. These products are not intended to diagnose, treat, cure or prevent disease. If you have any chronic or re-occurring symptoms or illness, consult a healthcare professional before using this product.